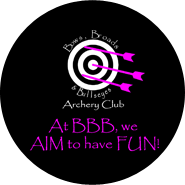 While our club itself is not very competitive (we AIM to have fun), we do host archery competitions. Below is the list of competitions hosted by BBB. All archers are welcome to participate, no matter the gender or age. Please note that we only host sanctioned competitions. Our club also does other fundraising activities. 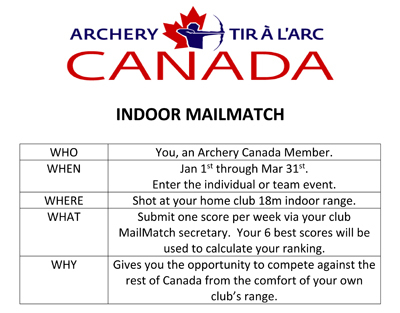 All BBB club members are welcome to participate in the 2019 Indoor Mail Match Competition held from January 1 to March 31, 2019. As active members of ABAM, we are automatically Archery Canada members. If you want to participate, please send an email to the MailMatch Secretary.